Whether you are looking for a fit body, a clear mind or a relaxed soul, yoga may be the perfect ingredient to add to your life. If you are new to the practice, we hope this information can get your journey started smoothly. The 5 tenets of yoga are guidelines for developing and maintaining a healthy mental and physical lifestyle. Though they are discussed more deeply in some styles than in others, the nature of yoga is always consistent with these 5 values: proper exercise, proper breathing, proper relaxation, proper diet and positive thinking. While these are referred to as “The 5 Principles of Yoga,” these concepts are relevant in many cultures of all time periods and are the basis for healthy living. By understanding the importance of applying these tenets to your yoga practice as well as your daily life, the overall physical, mental and even spiritual benefit of yoga training can be greatly enhanced. The practice of yoga and performing asanas, or yoga postures, is one of the most well-rounded forms of exercise. While significant weight loss or muscle gain is unlikely through yoga alone, consistent practice of yoga would likely prevent or curb the need to exercise for either of these reasons. Yoga has the ability to build muscle while stretching them, keeping them flexible, elongated and sleek. Yoga helps improve joints and posture, stretch the spine and maintain healthy weight, making it a great exercise for overall physical fitness. In order for organs and muscles to function at top capacity, they need to receive an adequate amount of rest and relief from stress. Over-exertion of the mind and body from work, exercise, worry, etc. can cause tension throughout the body and perpetuate negative energy, which can develop into mood-swings, outbursts, irritability, depression and more. Performing asanas and practicing yogic breathing and meditation is both relaxing and stimulating for the body and mind, offering the perfect balance in achieving proper relaxation. When practiced properly, yoga can train and discipline the body and mind to breathe deeply, rhythmically and fluidly. This will improve lung capacity and increase the flow of oxygen throughout the body and to the brain; this not only provides the body with more energy, but it also clears the mind and enhances decision-making skills. While meditation is not necessarily a requirement in yogic exercise, it is still one of the most common practices associated with yoga today. Meditation allows us to develop a deeper understanding and acceptance of our lives, actions and individual selves, while also giving the brain a break from the stresses of everyday living. This promotes clear and positive thinking, which in turn improves quality of life. Eating a balanced, healthy diet in conjunction with exercise is universally accepted as the best way to achieve and maintain health, and this is no different with yoga. Food affects our bodies and our minds, and depending on what we eat, this effect can be profoundly negative or positive. By loading up on sugary, salty or heavy foods with empty carbs and a lot of calories, we will not only feel physically weighed down but will also develop a lack of motivation to fulfill the other principles. Likewise, eating a diet comprised primarily of raw fruits, vegetables, nuts and other fresh foods is incredibly nourishing and revitalizing, not to mention easier on digestive processes. The best diet to supplement your yoga is one that consists primarily of these fresh foods, especially in the form of plant protein. Contrary to popular belief, “yoga” is not an all-encompassing term. Like art, which utilizes many different styles and mediums, yoga comes in several forms that derived from centuries-old schools of thought. The potential benefits that are attainable through each style of yoga can vary based on physical, mental and spiritual needs or desires of the individual, so not every form of yoga is suited to every person. If you’re just getting started and don’t know the first thing about which style is for you, it’s best to start with two of the most widely known yoga styles: hatha and ashtanga. Hatha yoga is probably the most commonly practiced yoga style in the western world. If you are looking for what one might call a “typical” yoga class, hatha is likely the exercise you have in mind. 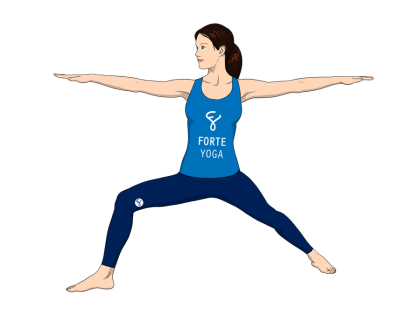 Hatha yoga is suitable for people that are just starting out, as many of the poses can be modified for each student’s’ level. Hatha strikes a great balance of fitness and relaxation, toning the body while calming the mind. Ashtanga yoga is another very popular style, but this is a much more rigorous form of yoga that emphasizes cardio. Ashtanga yoga is much more effective in terms of weightloss and muscle growth results in comparison to the gentler hatha, and the sequences can be learned by those that are relatively new to yoga. However, those that are new to exercise or those that have not exercised for some time should not attempt ashtanga yoga immediately; this is a very fast-paced workout that requires stamina, agility and strength, making it better suited for athletic beginner yogis. There are many other schools and styles of yoga, each with different focuses: spirituality, discipline, fitness, community, etc. Hatha and ashtanga yoga are both primarily utilized for fitness purposes, so those that are looking for a more spiritual practice may want to look at some of the other traditional yoga styles. While hatha and ashtanga are both popular starting points, reading up on all of the common yoga styles is the best way to determine which is right for you. Read more about Styles of Yoga. 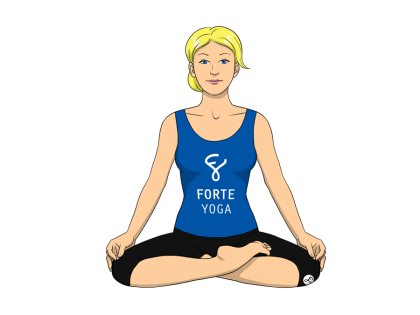 If you’ve never done any yoga, it’s generally recommended that you attend a beginner’s yoga class before attempting practice on your own, especially if attempting intermediate to advanced poses. 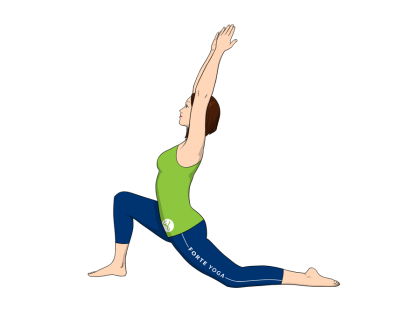 While yoga can be very gentle and calming, performing poses incorrectly can lead to muscle strain or cause injury. 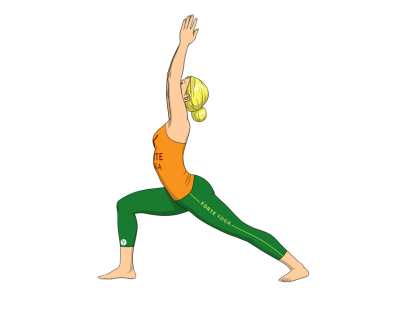 However, many beginner’s poses are simple to practice once the proper technique is learned, and doing yoga with a partner that has attended even just one or two courses can be a great jumping off point. For basic yoga poses, or basic asanas, step-by-step guides, photo instructions and video tutorials are all great ways to begin a gentle introduction to yoga. For intermediate and advanced yogis, these guides are also perfect for learning new asanas or variations. 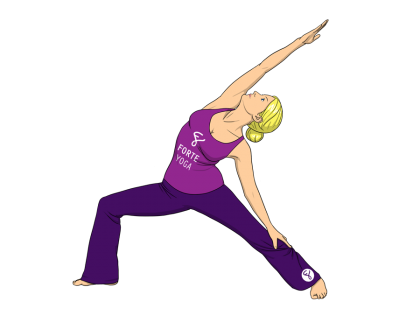 Having an experienced yogi present in the early stages is important for safety, but many people enjoy practicing yoga quietly and privately as opposed to in a social or group setting, or they may not have the money or availability to sign up for classes. Of course, there are certain advanced poses that should be completely avoided when practicing alone, even for advanced practitioners. The important thing is to always consider your own safety, being sure to listen and respond to the limits of your own body and surroundings. If you want to get started on practicing yoga at home, try starting with some basic poses from a variety of categories. For well-rounded fitness management, practicing a selection of arm balances, backbends, seated twists, standing positions, etc. is the best approach when planning your yoga workout.